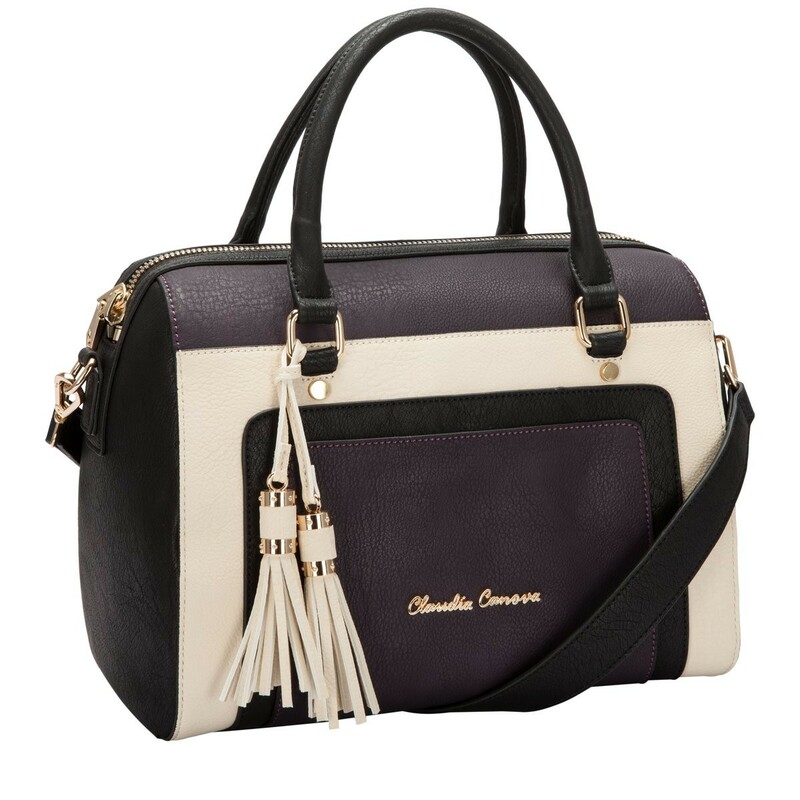 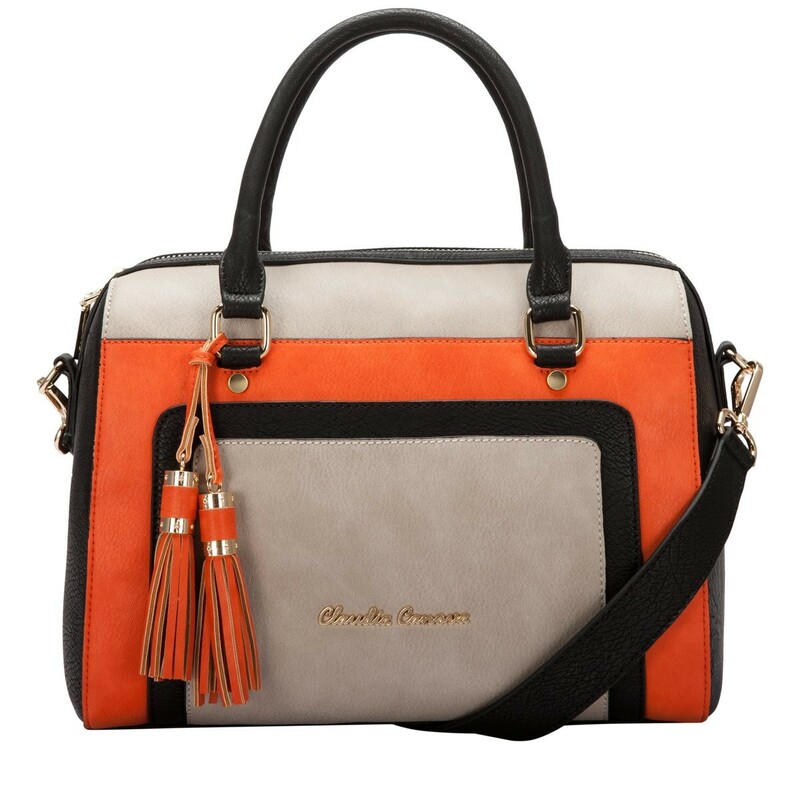 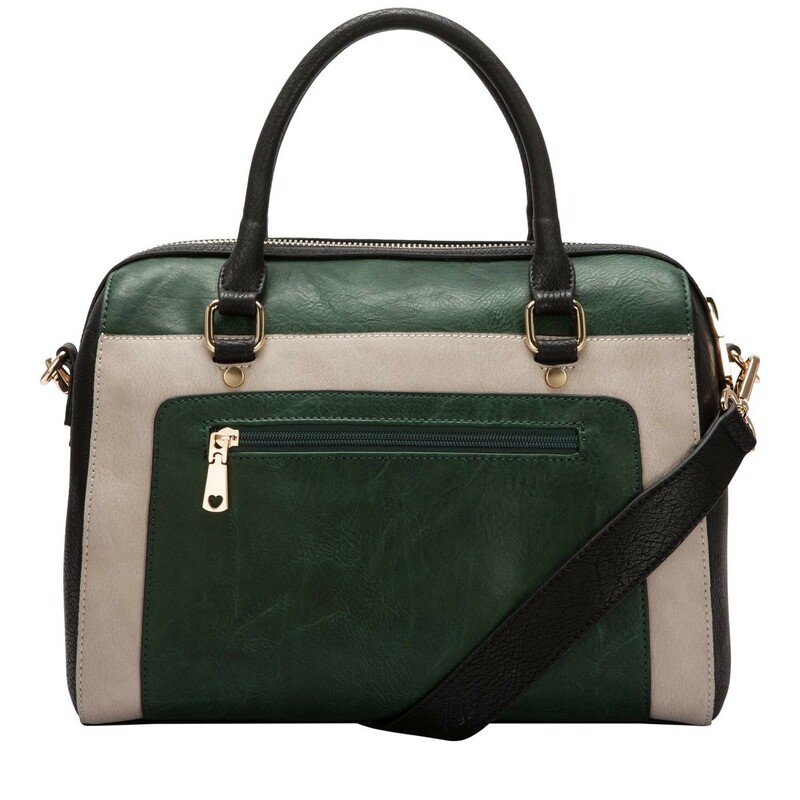 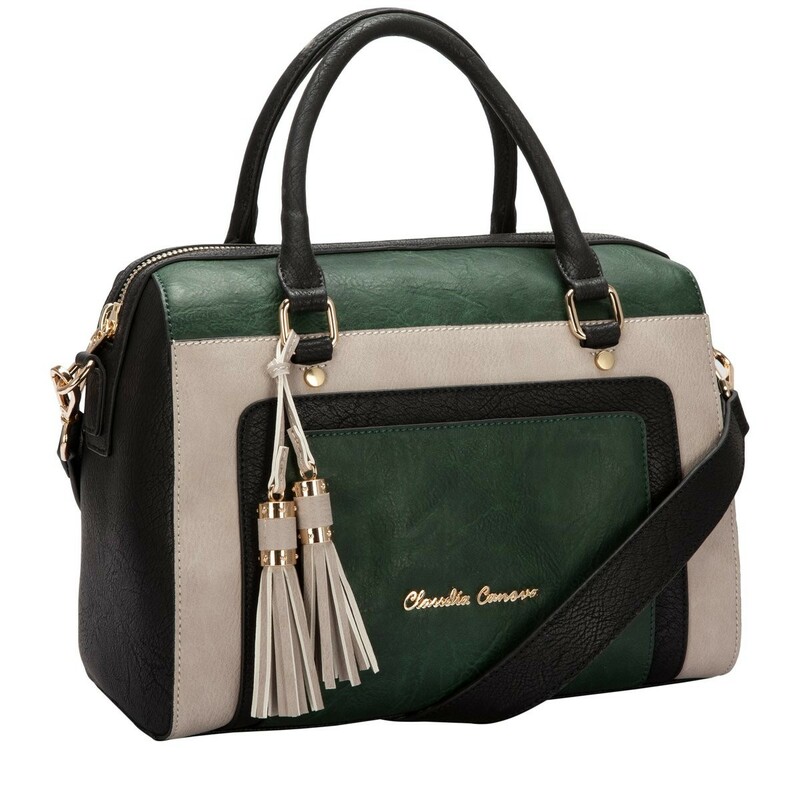 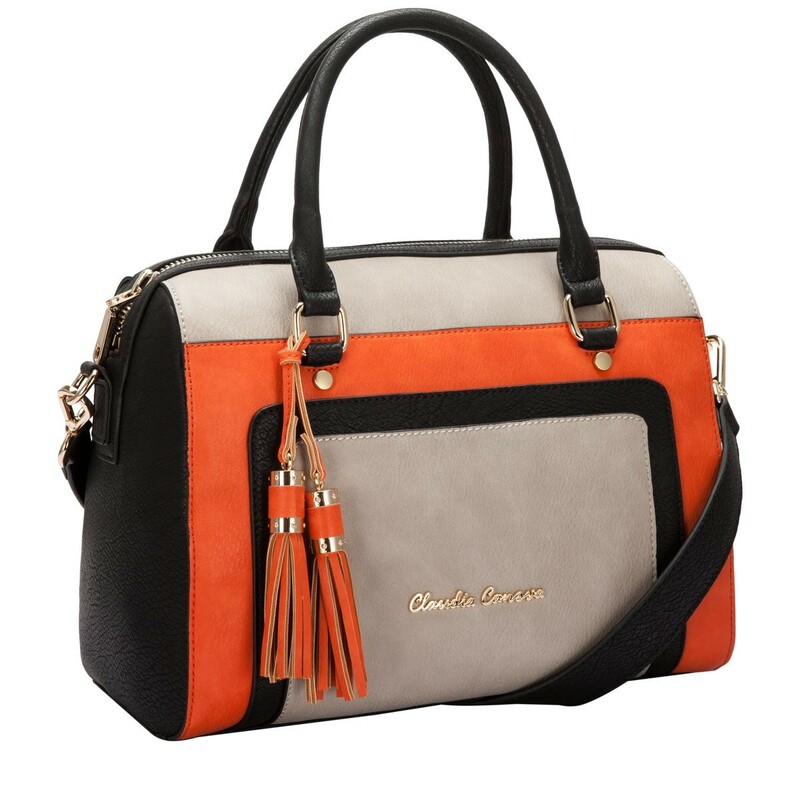 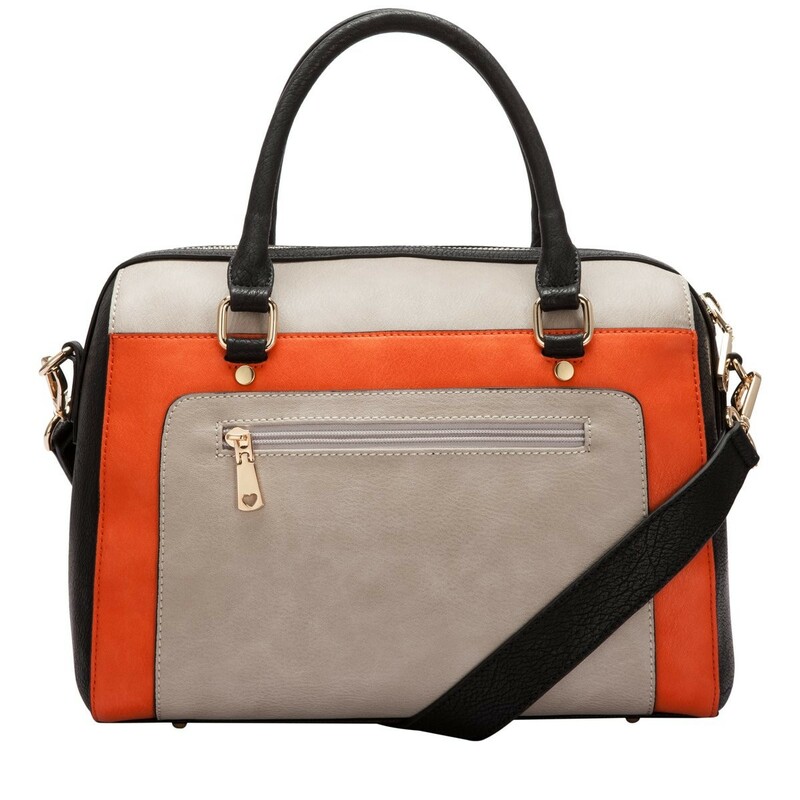 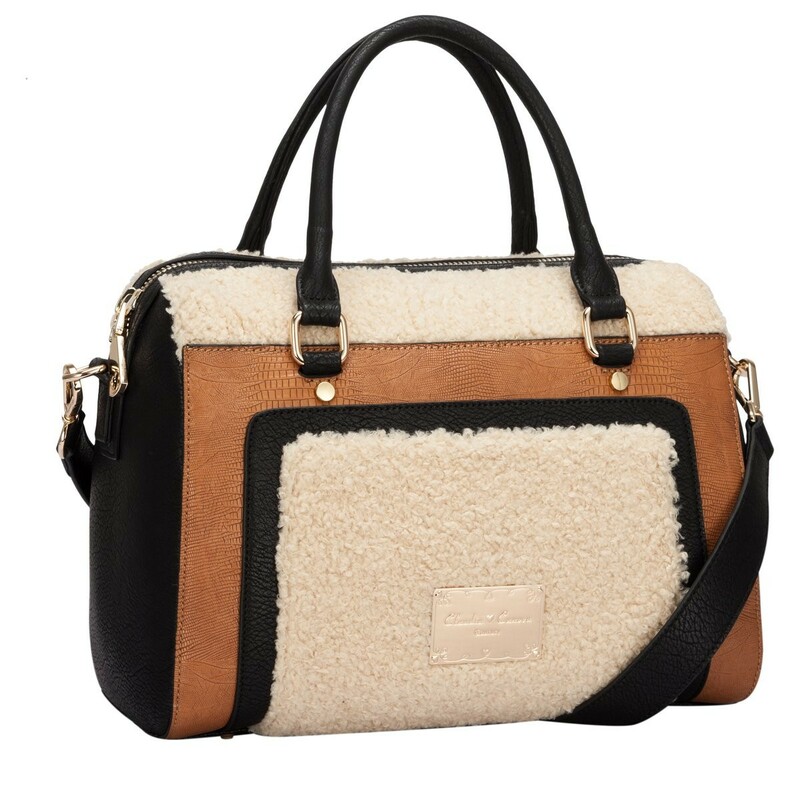 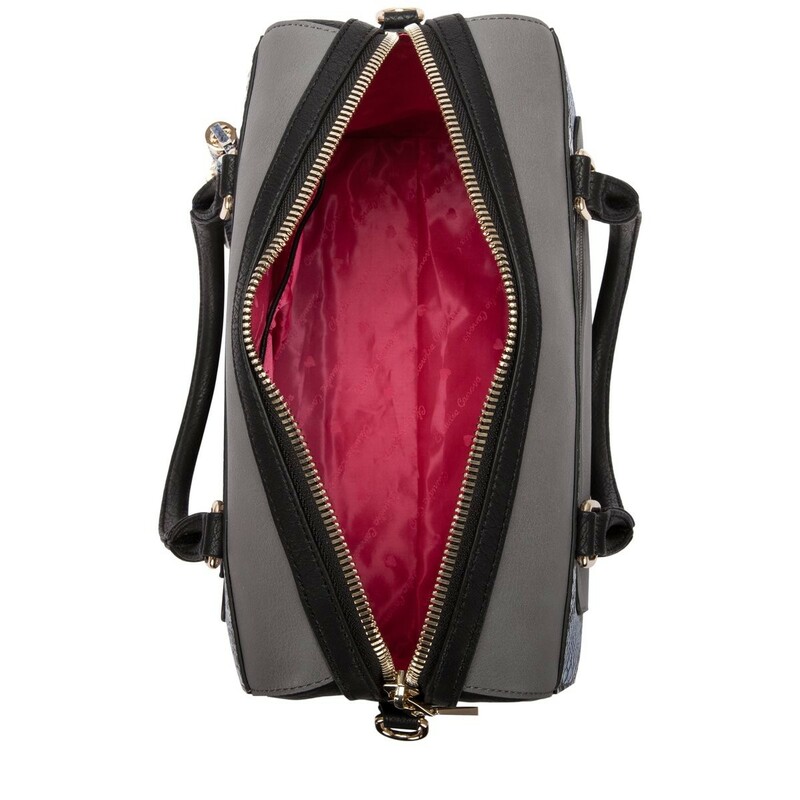 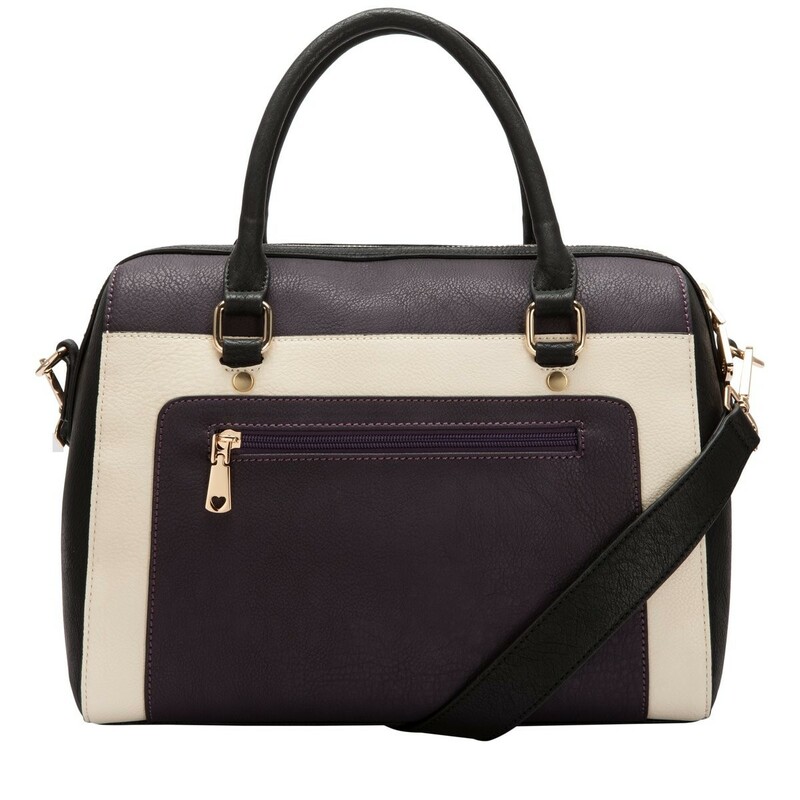 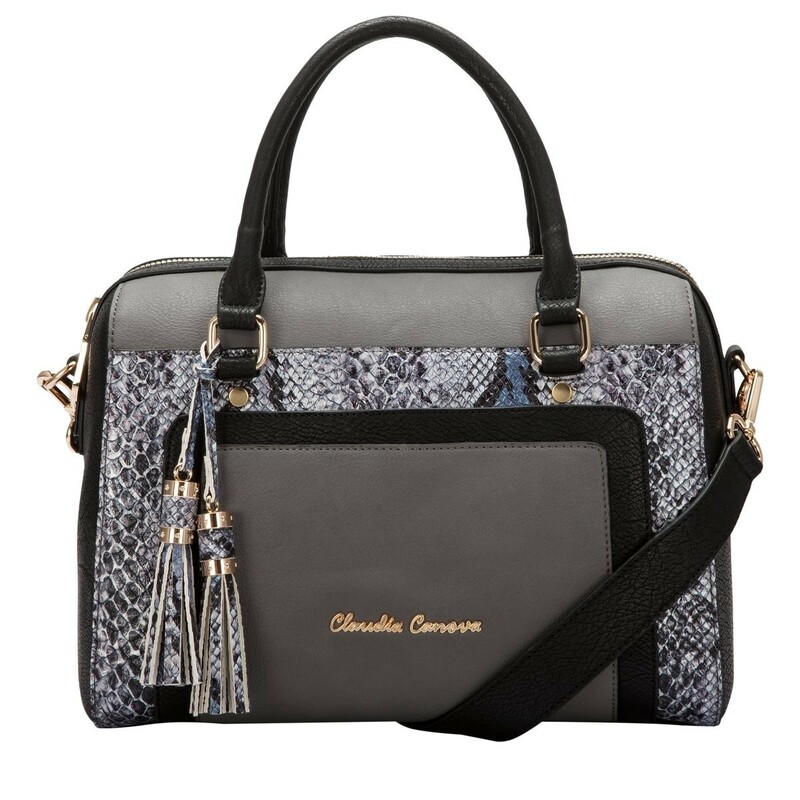 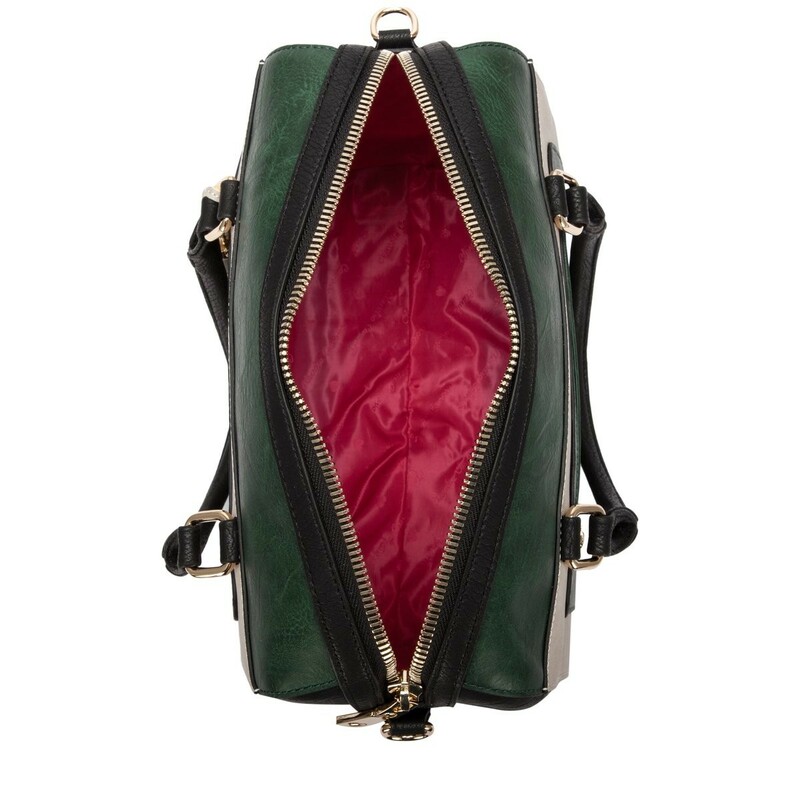 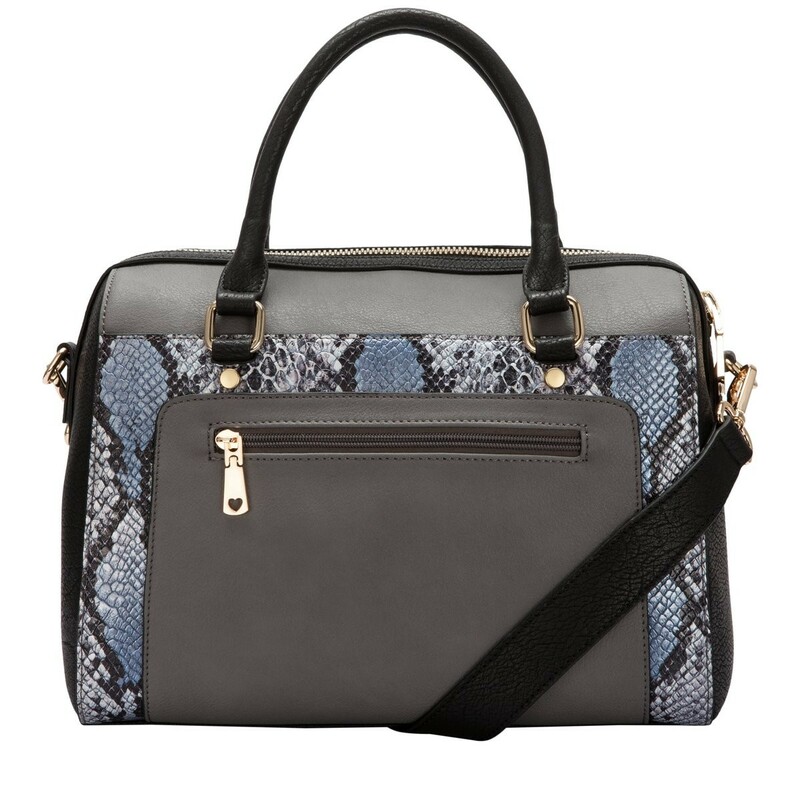 This super trendy bowling style bag is an essential this season! 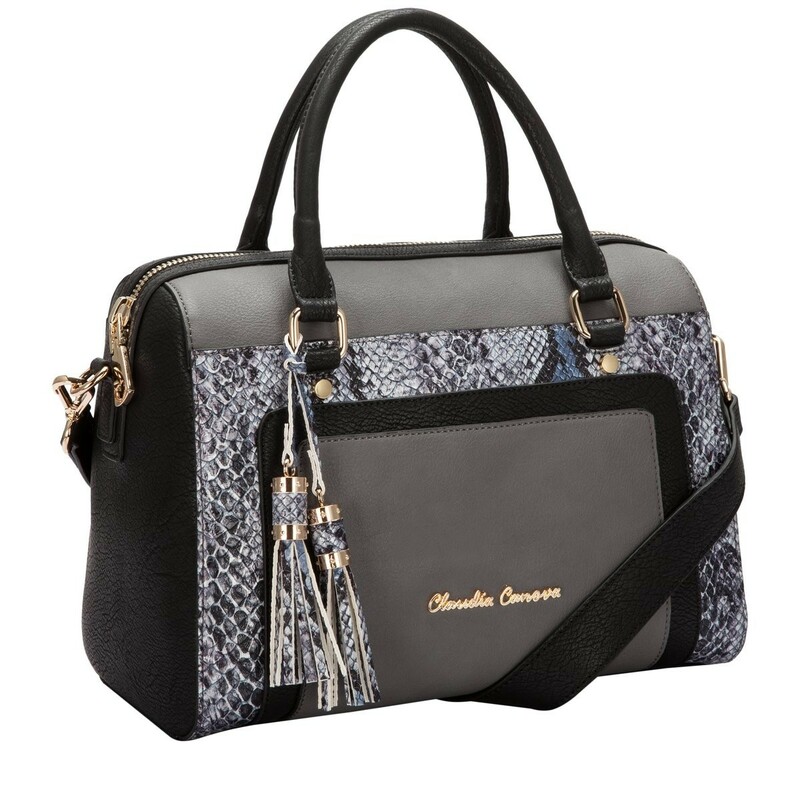 The stunning mix of colours, prints and textures add personality and the elegant stitch detail adds a point of interest. 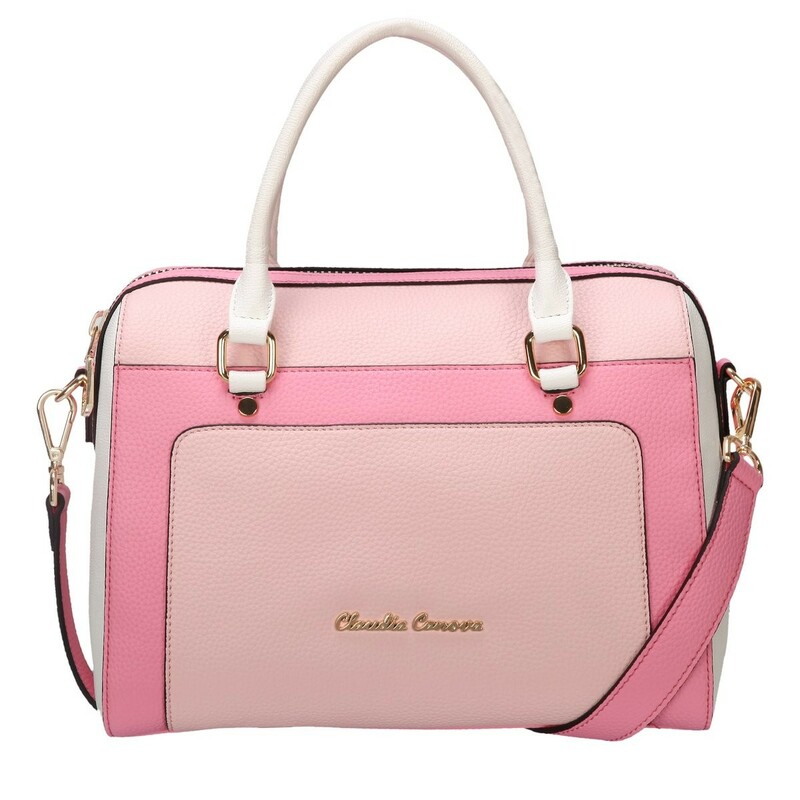 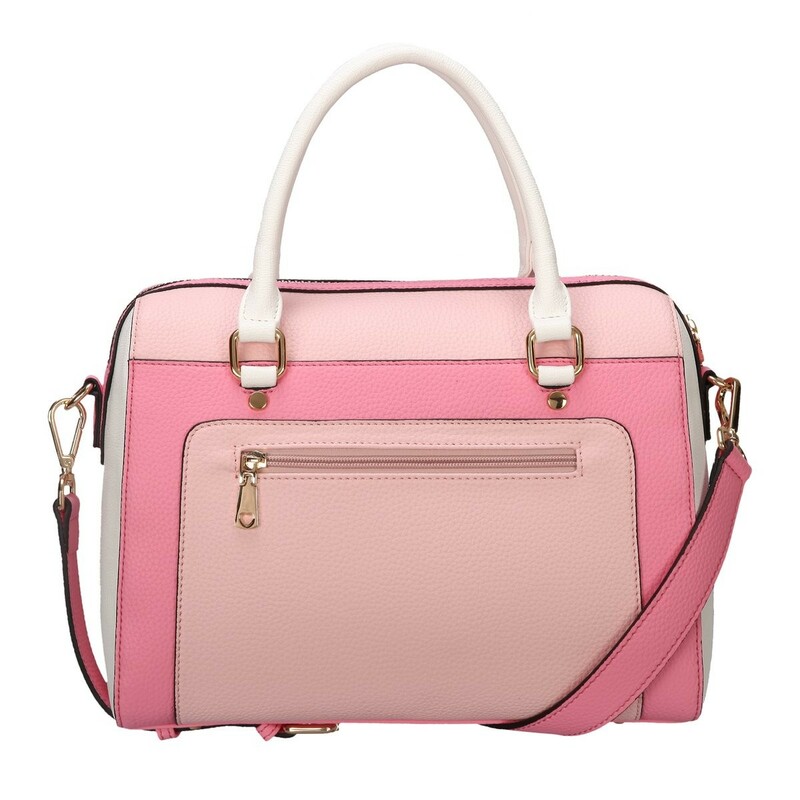 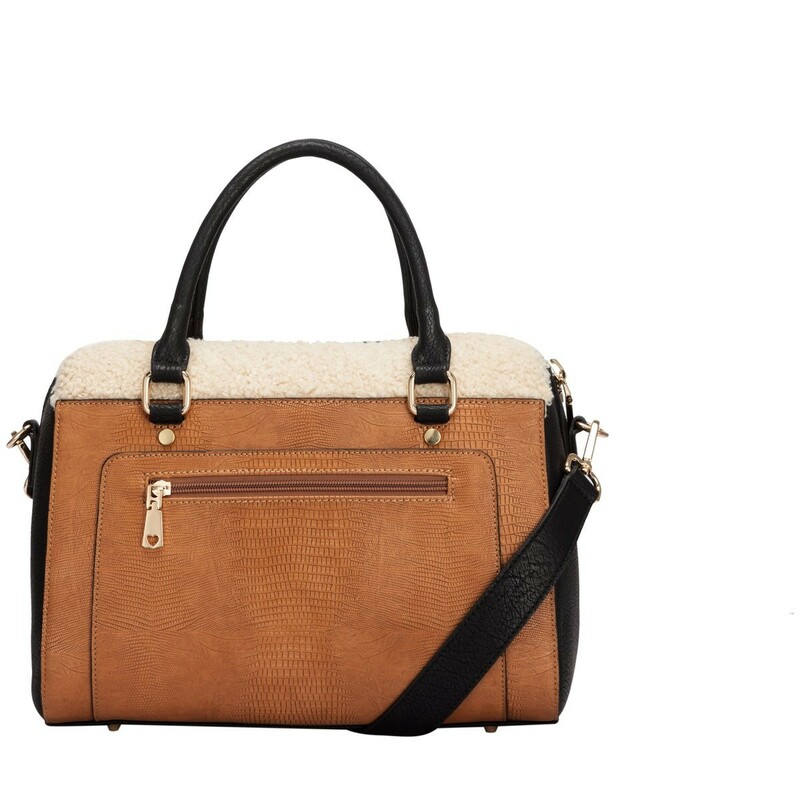 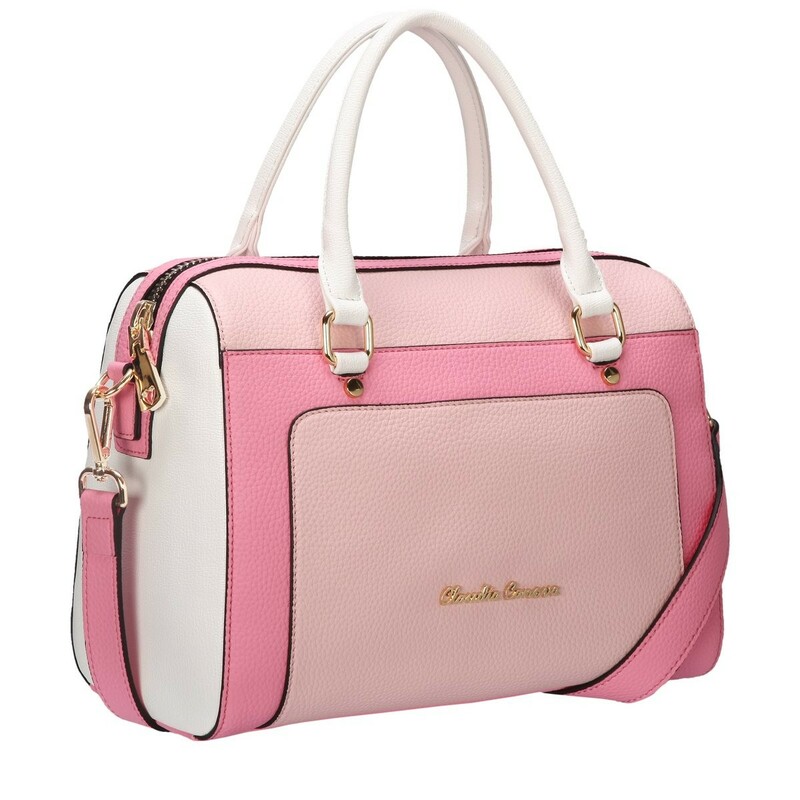 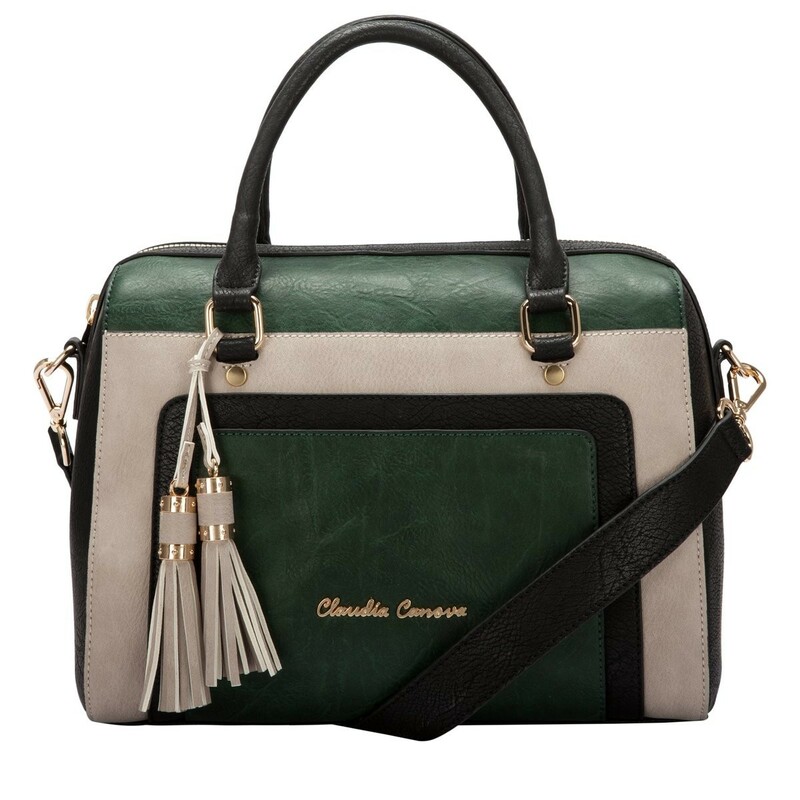 You have a choice of styling with the detachable shoulder strap - a perfect style for any fashionista.